China and the United States are offering different accounts of what has been discussed in high-stakes talks this week to avoid a trade war. 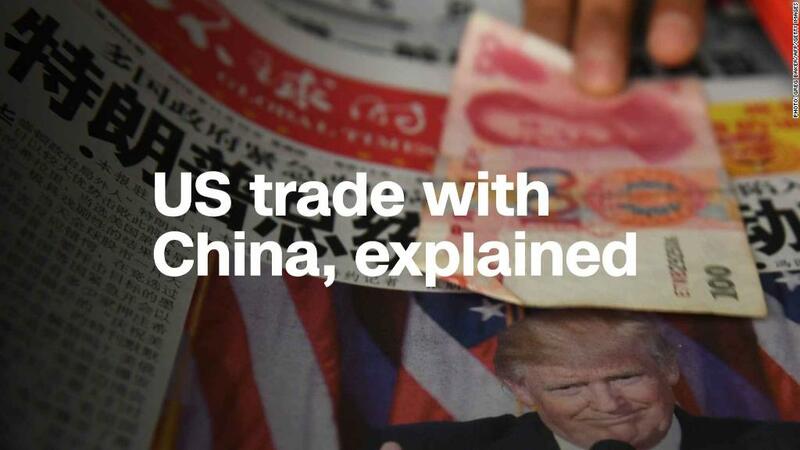 US officials on Thursday told CNN that Beijing had proposed boosting Chinese purchases of American goods by around $200 billion in an attempt to reduce the massive trade imbalance between the two countries. But at a regular news briefing in Beijing on Friday, Chinese Foreign Ministry spokesman Lu Kang denied such an offer had been made. "These rumors are not true," he said. Top officials from the two countries held talks in Washington on Thursday aimed at finding a way out of their bitter trade dispute. The United States and China have threatened in recent months to slap tariffs on tens of billions of dollars of each other's products. Lu declined to provide more details on the negotiations, which are set to continue Friday, other than to describe them as "constructive." China also said Friday that it's removing a huge import tax it recently imposed on US exports of sorghum, a move likely to help ease trade tensions. 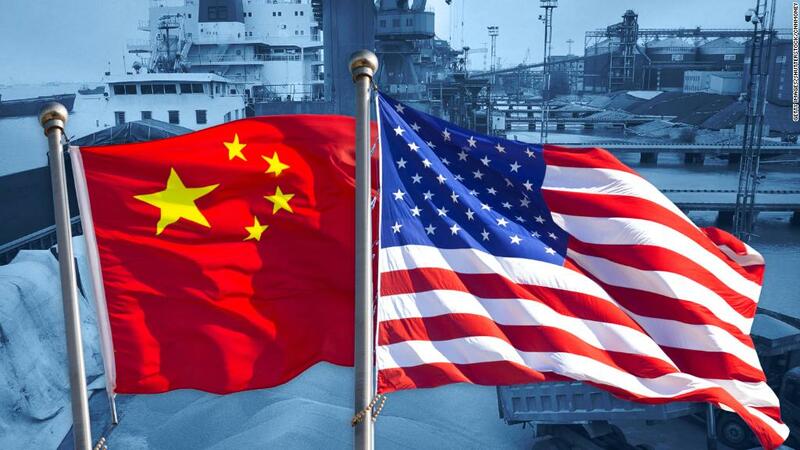 The US officials had said the idea of increasing China's purchases of American goods by $200 billion increase was just a proposal by the Chinese side and no agreements had been reached. The number reflected one of the US demands presented to the Chinese government during the first round of talks, which took place in Beijing earlier this month. 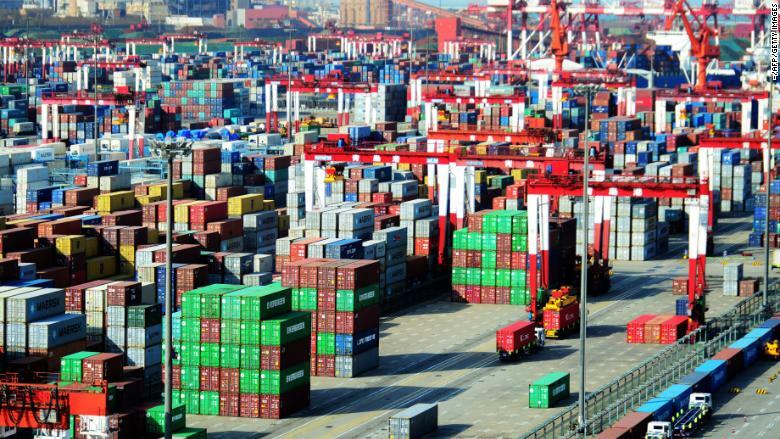 The demand called for China to cut its trade surplus with the United States by $200 billion by the end of 2020. Shipping containers at a port in Qingdao in China's eastern Shandong province on April 13, 2018. Experts say China, which bought $130 billion of American goods last year, would struggle to significantly ramp up the amount in a short space of time -- and $200 billion would be a staggering increase. "It's unclear how exactly China gets to this number," said Alex Wolf, an emerging markets economist at Aberdeen Standard Investments. He pointed out that China could try to shift its purchases of industrial machinery and similar goods from countries like Germany and Japan to the United States. But that could cause disruptions to supply chains and create tensions with those countries. It's also not certain the US economy could easily supply the kind of machinery China needs. American companies would need time to adjust to a huge jump in demand from China. "They could redirect their Airbus (EADSF) purchases to Boeing (BA), but its unrealistic for Boeing to have to meet that order book, at least in the short term," Wolf said. And whatever it offers the United States, the Chinese government is likely to want something in return. That could include removing restrictions on the export to China of certain advanced American technologies, according to Larry Hu, an economist at investment bank Macquarie. But the US government "might not be willing to do that," he added. China has also been pressing the United States to lift a crippling ban on the sale of American parts to ZTE, (ZTCOF) a big Chinese maker of smartphones and telecommunications equipment. President Donald Trump said Sunday that he was working on giving ZTE "a way to get back into business, fast," adding that he had instructed the US Commerce Department to "get it done." Thursday's meetings included one in the Oval Office between Trump and Chinese Vice Premier Liu He, the top economic adviser to Chinese President Xi Jinping. The US government has also been pressuring China to change its industrial policies aimed at boosting Chinese high-tech industries. Beijing has signaled it's not interested in changing a strategy it views as crucial for developing its economy. But US Trade Representative Robert Lighthizer has clearly linked the threat to impose heavy tariffs on at least $50 billion of Chinese products to Beijing's ambitious plans to become a global leader in industries like robotics and electric vehicles. "China wants it to just be about the trade deficit. They want it to be a numbers issue," Wolf said. The Chinese Commerce Ministry's announcement Friday that it is ending its measures against US sorghum exports is likely to come as a relief to American farmers. Beijing had previously accused them of dumping the crop, which is typically used to feed animals, on its markets. The ministry said in statement the heavy import charges it placed on US sorghum last month "are not in line with the public interest." Lu, the Foreign Ministry spokesman, said observers shouldn't "over-interpret" the decision on sorghum as being directly related to the trade talks in Washington. -- Steven Jiang, Jethro Mullen and Serenitie Wang contributed to this report.